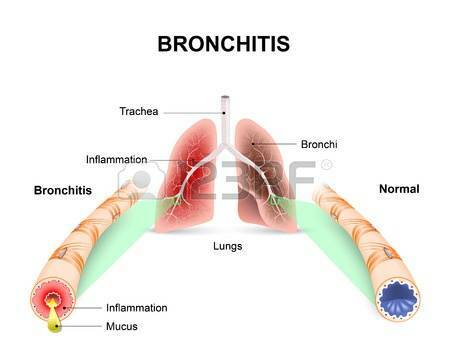 Allergic Bronchitis is a respiratory condition, triggered by an overly active immune system reaction against harmless foreign substances that enters the lungs. This condition involves inflammation of the bronchioles and the lower respiratory system due to allergens. In Ayurveda, bronchitis is known as Shwasa Pranali Shoth (inflammation of respiratory tract) or the Shwasa-Kasa Roga or Tamaka Shwasav Roga that begins with the impairment of digestive power; this is why in the preliminary stage of the disease or just before its onset, the patient complaints of indigestion, constipation or diarrhea. It mainly involves the vitiation of Kapha Dosha, however, it can be still either of Vataj, Pittaj or Kaphaj in nature but predominantly Kaphaj. Tobacco smoking is a major cause of allergic bronchitis. Environment polluted with pollen, mold, dust and food additives can increase the risk of allergic bronchitis. Sudden environmental changes can cause harm to patients of allergic bronchitis. Some medicines like aspirin, beta-blockers have been found to raise the risk level. In the state of strong emotions like laughing or crying can trigger allergic bronchitis. Reduce exposure to polluted, dusty and smoky places. Avoid mucous producing foods such as curd, animal foods, cheese and bananas. Indulge in mild physical activities like swimming to improve body’s metabolism. Avoid using deodorants and perfumes. Do not suppress your natural urges like urination, thirst and cough. During an attack, sit up straight or bend forward. Do not lie down. A hot chest and shoulder pack given during an acute attack, repeatedly over short intervals, proves beneficial. Hot milk or hot water when sipped little by little, provides immediate relief from the attack. Allergic bronchitis can occur as long as the person affected by this condition is exposed to the allergens. The Ayurvedic treatment of this disease consists in the employment of remedies to alleviate the attack, and in adoption of measures likely to prevent the recurrences.